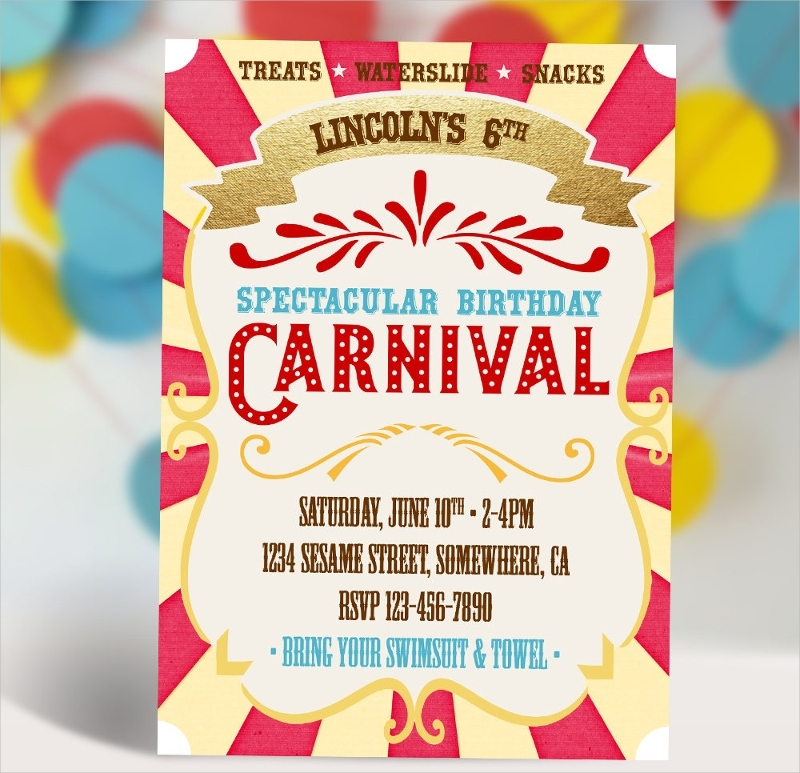 A carnival birthday invitation is one of the most fun and colorful Birthday Party Invitations that are commonly used for children birthday parties. 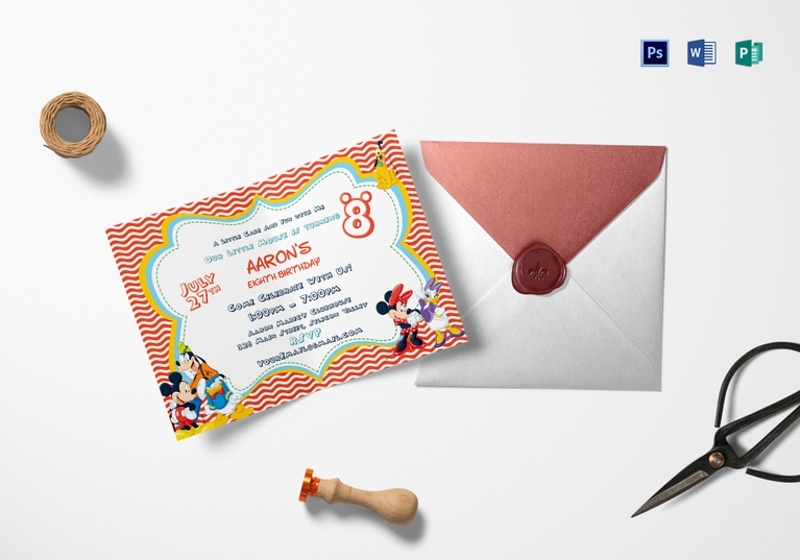 Even if it is mostly used for the birthday celebration of kids, this birthday invitation is not limited to this kind of party as adults can also create design twists that can make carnival birthday invitations look appropriate for their age. 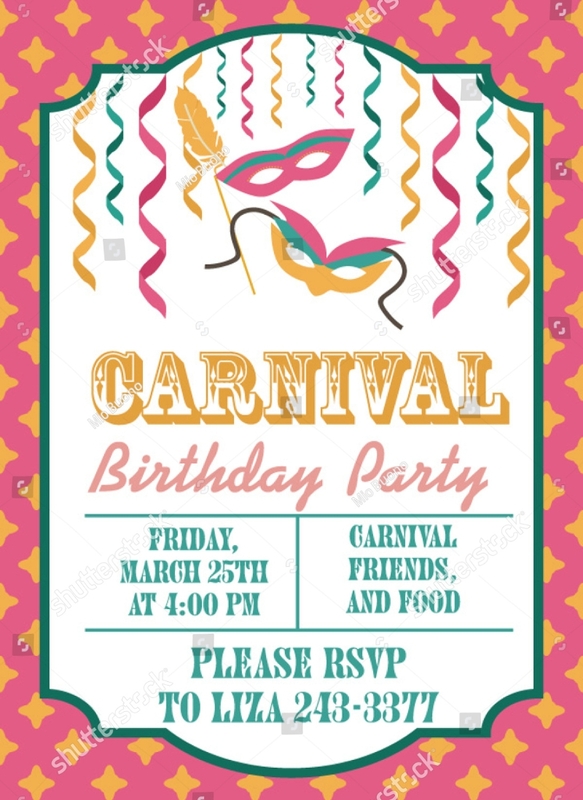 If you want to achieve the creation of informal, lively and Funny Birthday invitations for your carnival-themed birthday party, one of the easiest ways that will allow you to do so is to browse through the samples and templates that we have put together in this post. 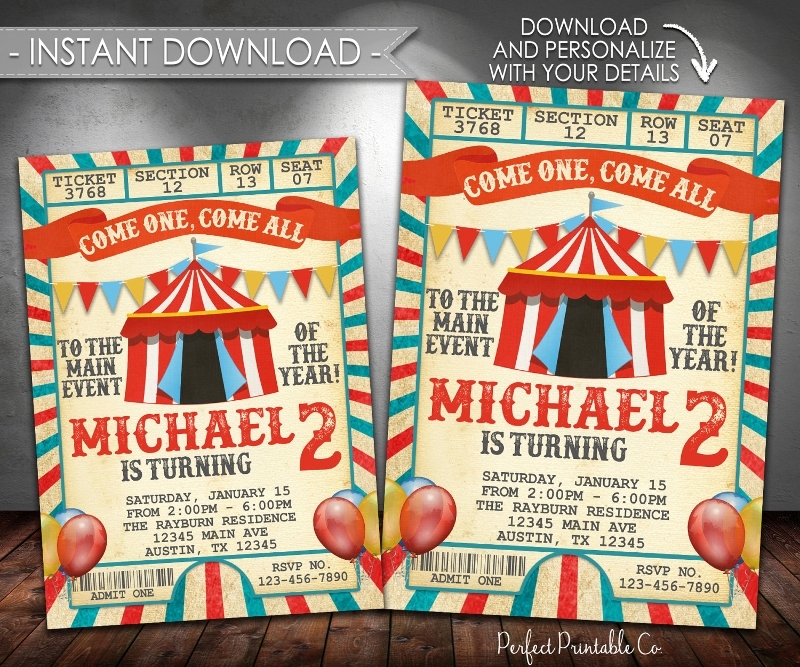 Do not be afraid to change a variety of their design features so you can ensure that you final carnival birthday invitation can still look original and unique. 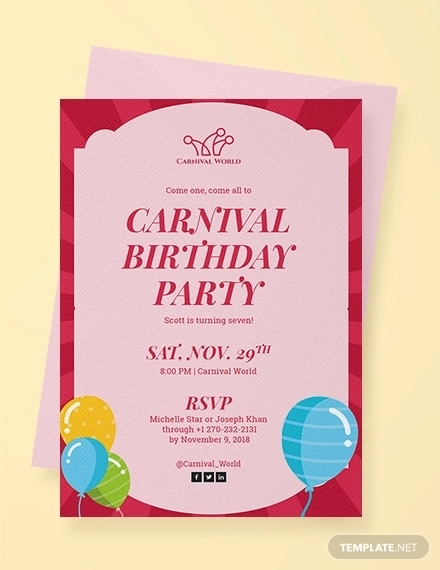 When to Use Carnival Birthday Invitations? 2. 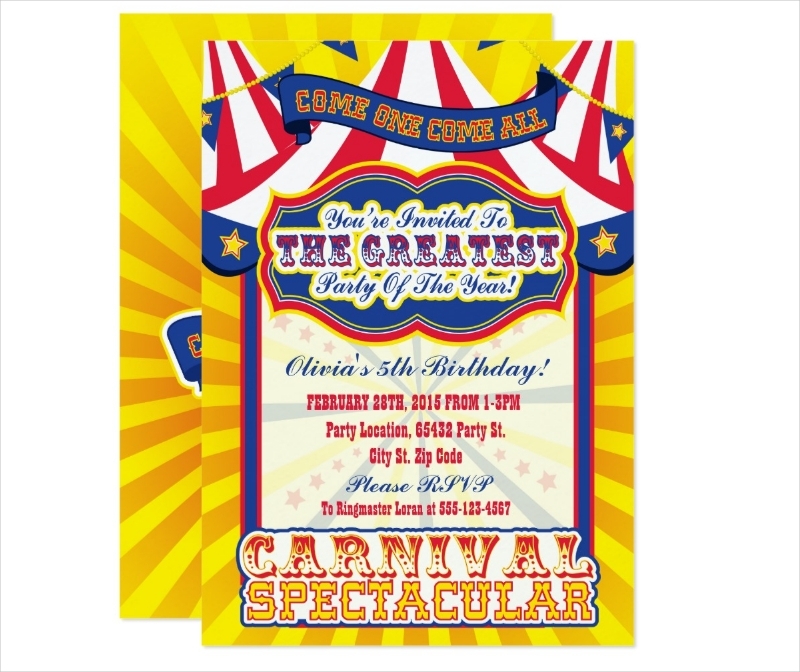 A carnival birthday invitation can be used if the theme of the birthday is related to circus, carnival, and other fun act shows. Even if it is a 21st Birthday Invitation or Double birthday party invitations that you will make, it is for sure that the theme of the party is important to be seen in the actual invitation. 3. 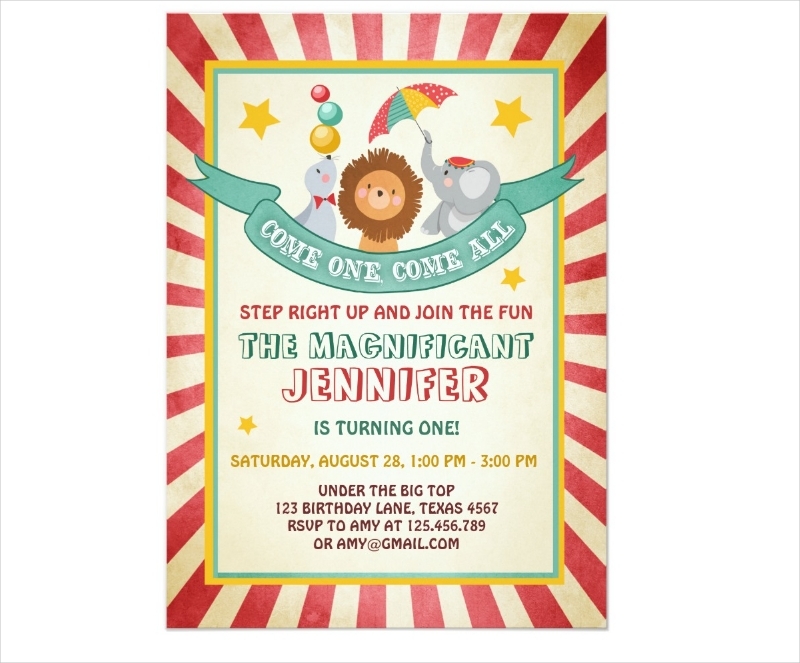 A carnival birthday invitation can be used if the birthday celebrant wants to have a carnival-inspired celebration. 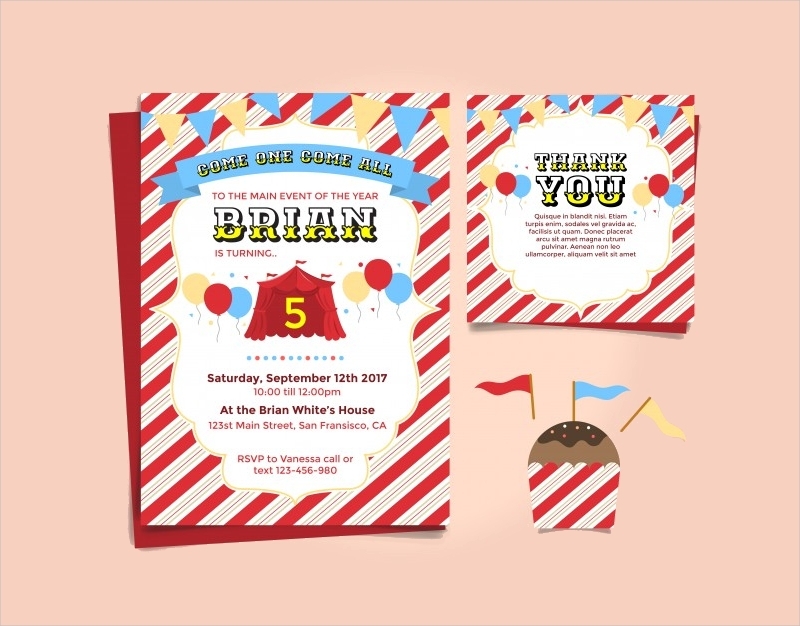 From Construction birthday invitations and other kinds of basic invitation formats, you can develop a great carnival birthday invitation. All you need to do is to know where the design inspiration is coming from so you can highlight the part of the carnival that is necessary to be given focus on during the celebration and within the development of the carnival birthday invitation design. 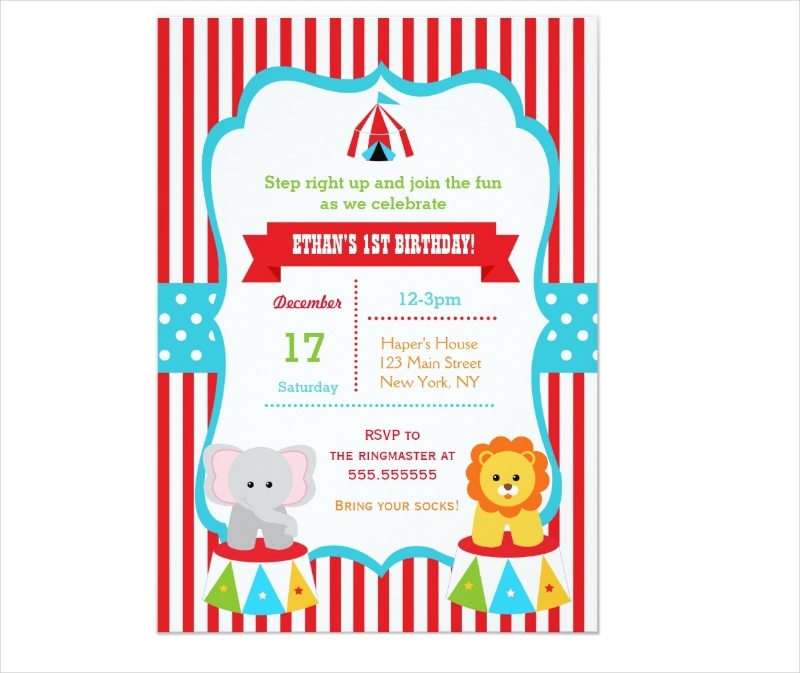 Baby boy first birthday invitations and Boys Birthday Invitations are usually the invitations that are carnival-themed. 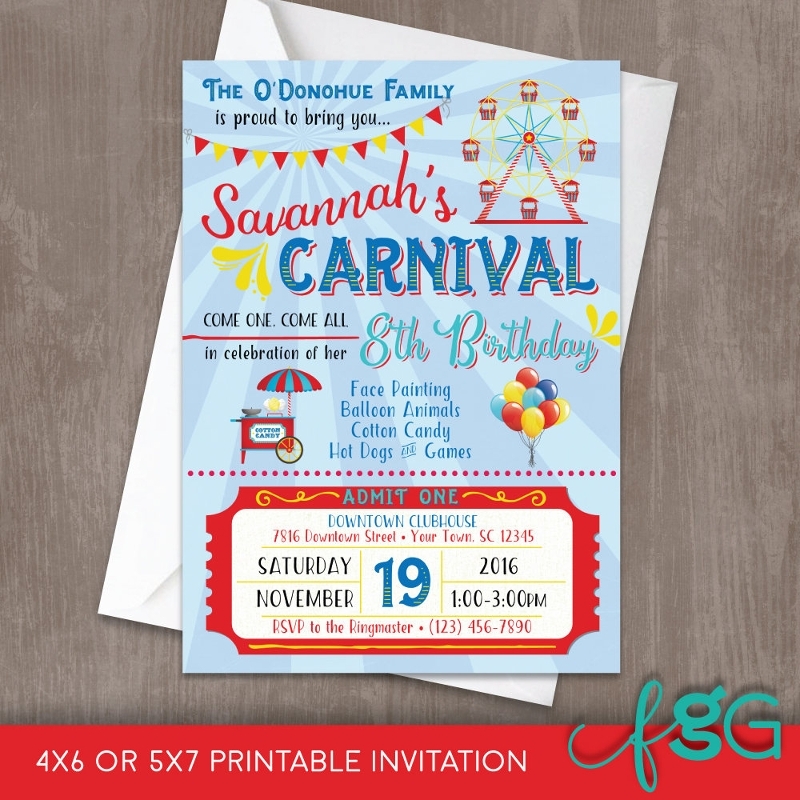 No matter the age group where the birthday celebrant belongs, a carnival birthday invitation should be both visually pleasing and comprehensive. Animals that are commonly associated with carnival shows. If you want to be creative, you can put together the aesthetic of Under the sea birthday invitations and carnival birthday invitations. This will help you to make the design of the invitation more magical. You can also opt to use Black and gold birthday invitations so that the carnival theme can be deemed to be more classy and elegant. How Should a Carnival Birthday Invitation Look Like? 1. 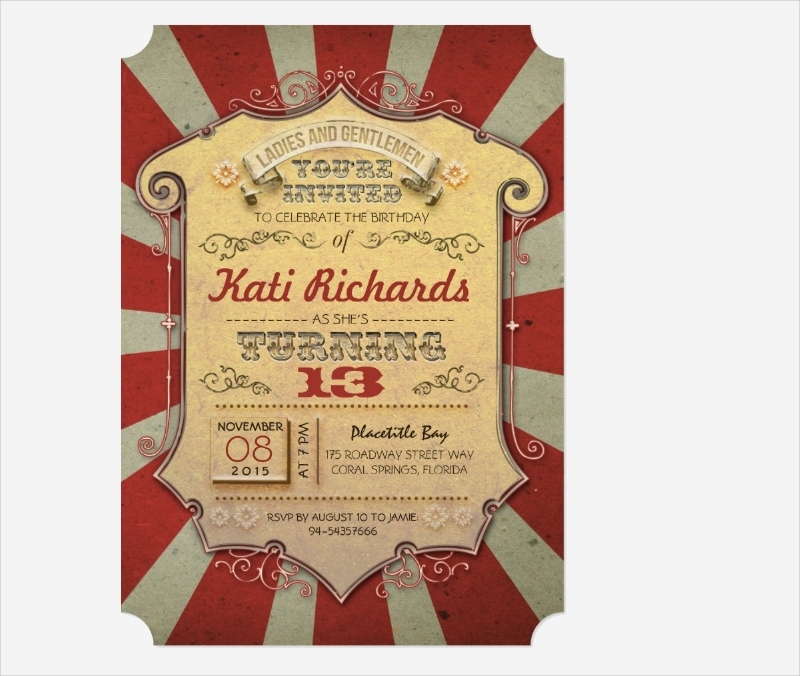 A Retro Birthday Invitation will look good if a carnival theme will be injected on it. 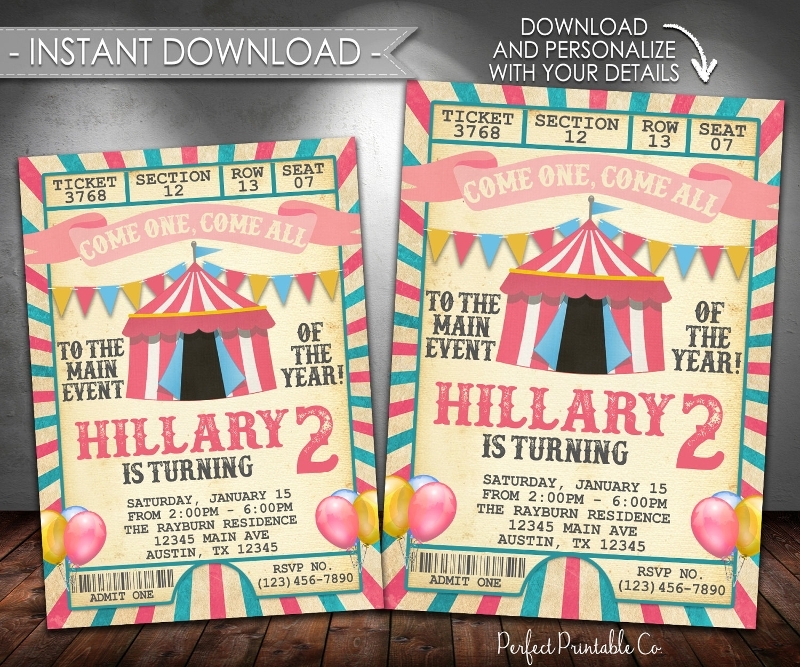 You can use retro or vintage carnival tickets on top of a retro carnival background. Sounds interesting, right? 2. You can use Superhero birthday invitations as well. Why not use the carnival as the plot for a superhero presentation? This will truly go well with birthday invitations that will be used for the birthday party of kids. 3. If you plan to create an 18th Birthday Invitation, you have to be more refined with the presentation of the carnival theme. You can use a Princess Birthday Invitation and use elegant designs that can present the princess in a carnival location. Start Making Your Carnival Birthday Invitation Now! May it be a Sweet 16 Birthday Invitation, Surprise Birthday Invitations or just any other ordinary birthday invitations that you will create, you have to make sure that the carnival can be seen and felt with the design that you will include in the birthday invitation. Do not be afraid to experiment and push boundaries if you truly want to come up with a carnival birthday invitation that will work best for the party that you will host or organize.With the samples and templates that we have presented, you have to start making the birthday invitation that you plan to create now. 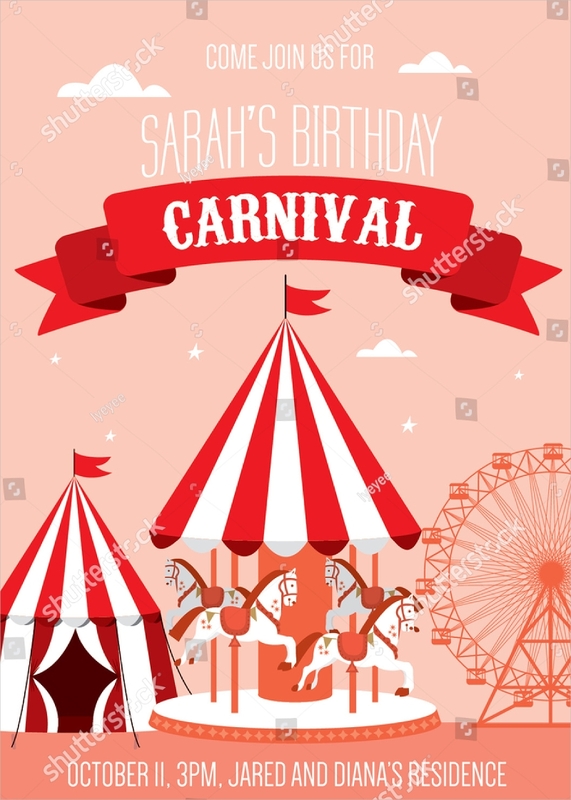 The ease of creating a carnival birthday invitation is already within your reach through the help of the samples that you can download here. Always be guided by the tips that we have curated so you can ensure that the carnival birthday invitation will be as memorable as the birthday celebration.